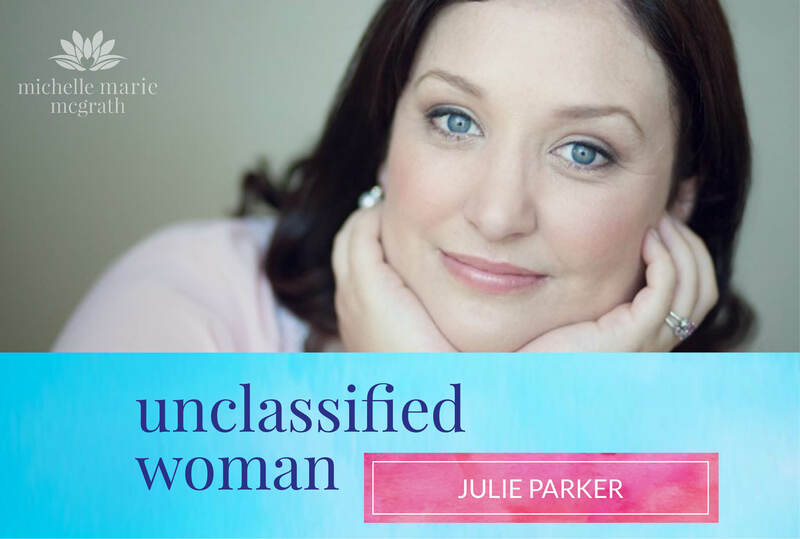 Julie Parker is one of Australia’s foremost life and business coaches and trainers, with more than a decade of experience, inspiring hundreds of clients and thousands of people to create beautiful lives and businesses. She is the CEO and founder of the Beautiful You Coaching Academy. Julie passionately trains and supports heart-centred, gifted people to bring their talents and love of giving into the world, as life coaches. Julie is a published author and TedX speaker and has shared the speaking stage with amazing ladies such as Clare Bowditch, Christina Re, Gretel Killeen, Carolyn Cresswell and Gala Darling. She is the recipient of numerous awards including the Australia Day Citizenship Award and Business and Professional Women’s Woman of Achievement Award. Julie appears regularly in the media including Today Tonight, A Current Affair, Sunrise and The Morning Show; as well as in publications such as Grazia, Cleo, Cosmopolitan, Fitness and Health and national newspapers. She is also the Editor in Chief of the fabulous Inspired Coach Magazine. Was not having a child due to a personal choice or circumstance? Julie’s story is a mixture of both. She had always thought that she would have children and be a biological mother, but by her early to mid-30’s she hadn’t met the man who was to be her future husband and she started to think differently and accept the possibility of not being a biological mother. Around the same time, she started having gynaecological issues. Shortly thereafter, she met her now husband who had a child from a previous marriage. From the beginning, he was honest with Julie that he didn’t want to have any more children, and being convinced that she had found the man that she would be with for life, having children wasn’t as important to Julie anymore. What was more important was building a great life with her husband and being a good stepmother to his daughter. Her desire to have children greatly lessened, something she came to very much be at peace with. Overall, Julie felt that not having a child emerged to be due to her circumstances, but in the end became a life choice. In deciding not to be a biological mother, were there any processes that you had to go through? There was an interesting response from a friend and her mother and Julie had to think very carefully if this was something she would regret. She spent a lot of time by herself and had to dig deeper within herself, as she realised that she needed to be the one who had to be okay with her decision. Julie has always been taken aback with people’s response when they hear that someone has decided not to have children, noting that it is interesting because they don’t respond the same way if people decide to have children. Some responses Julie has found have been that she might have been compromised in some way and she had to them that she was fine. On her relationship with her stepdaughter: Having been a part of her stepdaughter’s life for over 7 years now has been very fulfilling for Julie. Although she does acknowledge that a step-parent’s role is not an easy one at times, she feels very blessed. A big reason for that is because her husband has always been a great father. Some people suspect from someone who may not want to have any more children, that they are tired of being a parent or that it was difficult, but that wasn’t the case at all with her husband. He was at a stage in his life where he was very happy forging a relationship with his daughter and just didn’t feel the need to have more. It seems that there may be a lot of young women out there who thought that having a child would fulfill them and Julie wonders that if they had to make the choice over again, if they would have chosen differently. Everyone is different in their perception of what a beautiful and fulfilling life ought to be. It’s obvious that Julie, through her work in helping other women to be life coaches, utilises her own nurturing and mothering qualities in this way. Someone who doesn’t like kids. A definition of a Mother = to give rise to or to produce. We all do that in different ways. What brings Julie fulfilment in that way? All life coaches that train with Julie are women who want to birth their own business or emerge as a life coach. She has been able to help others create a business or a life which is surrounded by heart and compassion. Julie feels that this is exactly what she was brought here to do. She feels that she helps people give rise to that in their lives and step out into the world with new found confidence and skills to establish their businesses. She enjoys meditation but also she surrounds herself with incredible and supportive people. She has already cut ties with those who have brought her down in the past. On social infertility: there seems to be a growing phenomenon with women who are accomplished in life but can’t seem to find a man who they would want to have a family with. There is a growing group of women who are empowered and well accomplished in life and at the same time, there seems to be more men who don’t want children as well. It’s creating a mis-match. Another issue is that people stay at home longer and struggle to purchase their own homes. There has been a report on the average cost of raising a child to be just under half a million dollars. It is astronomical to raise a child in our society nowadays. On top of the expenses you also have to be the best parent that you can be. We need to be very clear about our life decisions and at the same time respect other people’s decisions. Unfortunately there are still so many people out there who are very judgmental about others decisions to not have a child. On a practical level, Julie is very busy with her business and travelling. If she had a small child she would have had a lot more to juggle. She realised that if she had had a child, her business would have been very different from what it is now or even potentially may not have happened. On the legacy she wants to leave: the hope that she had inspired people to truly embrace and love themselves for exactly who they are and the choices that they make. She feels that this is really what she needs to do is to help people realise that they are enough. These are people who are natural born givers and helpers. You can find out more about Julie and her work here. Thank you for having me on your podcast for this really important topic Michelle. I love how you are sharing stories of incredible women who are sovereign in their life and doing such brilliant things. I hope it brings much inspiration and even comfort to other women who are in the same position – whether by chance or choice.